Boyle is in Co. Roscommon which is in the province of Connacht. 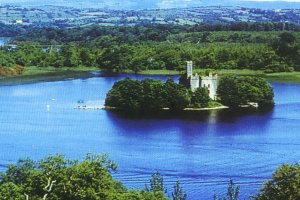 The town is situated at the foot of the Curlieu Mountains, on the main Dublin/Sligo N4 route. Boyle has many historical buildings and archaeological sites have long been of national importance. 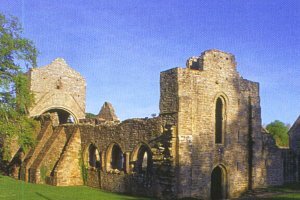 The town of Boyle grew up around a Cistercian abbey which was established around 1169.A major battle,the Battle of the Curlieus,took place in Boyle in 1599. 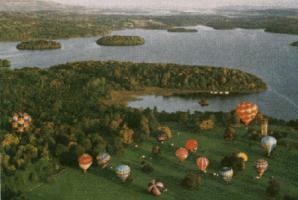 Lough Key Forest Park with its many historical islands, located on the shores of beautiful Lough Key, just five minutes drive from Boyle town centre. A landscaped caravan and camping area within the Park provides you with a service building containing a recreation room, toilets, showers and launderette.Your children will meet new friends at the adjacent outdoor children's play area. The 350 hectares of parkland, formerly Rockingham Estate, seat of the King Harman family, invites you to walk along peaceful nature trails from which you can enjoy the spectacular scenery and panoramic beauty that is preserved and protected in Lough Key Forest Park. You can appreciate the full scale of the park from the top of the Moylurg Tower, built on the site of Rockingham Mansion, which was demolished in the 1960's following a fire. We highly recommend the Nature Trail , starting from Rockingham Harbour. It takes you past the massive tent tree, over the Fairy Bridge (left) and along the avenue shaded by giant cedars, leading you to the Bog Gardens. Enter by a small wooden bridge along an unusual pathway paved with cross sections of oak trunks cut from the forest. The Bog Gardens area is a particular feature of the Park, displaying a wide selection of peat-loving plants and shrubs, and an irregular maze of pathways leading you to many fascinating little nooks and crannies. Masses of colourful rhododendrons (right) mingle with the sweet scented yellow azaleas in early summer. Crossing Drumman's Bridge onto the island, the walk brings you through a delightful springtime bluebell forest. With nothing to disrupt the tranquil atmosphere of the Forest Park you may, at times, have endless walks all to yourself. The Harbour Coffee Shop , overlooking the lake, offers you a wide selection of refreshments and has a superb view of Castle Island (right) which has a picturesque 19th century ruin on it. If you are a seasoned walker, you can press on further past Poteen Hill and maybe find the Castle concealed in Cloontykilla Wood. Catch a fleeting glance of fallow deer and red squirrels through the trees. Listen to the melodious chorus of the wren and willow warbler. Avail of the Wind-Surfing, Water Sking and Sailing facilities at Rockingham Harbour. The more leisurely may hire a small boat for fishing or a visit to the 12th century Abbey ruins on Trinity Island, where the Annals of Loch Ce were written in 1234 AD. Swimming areas in Lough Key Forest Park and at the Doon Shore on the North Western banks of Lough Key tempt you to take the plunge. A short distance away beside the main Dublin-Sligo road are the magnificent restored ruins of the Cistercian abbey founded by Maurice O'Duffy in 1161 and closely associated with the great abbey of Mellifont, County Louth. The abbey was consecrated in 1220 and for the next 400 years withstood the sad succession of raids, burnings and plunderings, caught as it was in the turmoil between the MacDermots and the O'Conors, other Irish chiefs and in the wars between the Irish and English, due to its position on an important communications route. Under James I it passed to Sir John King and his successors. Despite its mutilations it is still regarded as the finest of the Cistercian churches to survive in Ireland with the majesty of the south arcade unparalleled elsewhere in the country. The Abbey is a transitional creation, bridging the Romanesque and Gothic periods. This can be seen in the juxta-position of a row of rounded arches on one side of the nave and one of pointed arches on the other. 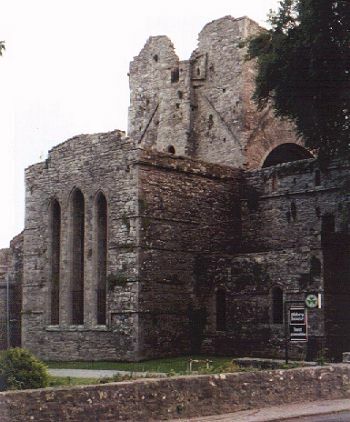 Few medieval Irish abbeys show better than Boyle how stonemasons built their churches in stages. They started on the chancel (altar area) sometime before 1200A.D., and it took them until about 1220 before the west end of the nave was completed. Curious figures and animals carved on the capitals of the columns near the western end show scant regard for the Cistercian desire for plain churches which would not distract people from their prayers. A small interpretative centre is sited in the gatehouse. The main street in Boyle was originally the avenue to the stately home of the King family. King House was the 18th century seat of the Kings, later Earls of Kingston, and was built for Sir Henry King , M.P. on the site of an earlier house which was destroyed by fire. The family moved to Rockingham (now Lough Key Forest Park) at the end of the 18th, century and abandoned the house, which subsequently served as a military barracks, for the Connaught Rangers a British Army Regiment. This fine house now contains a series of exhibitions which explore the turbulent history and the elaborate pageantry of Connacht kings and chieftains such as the O'Conors and MacDermots, and traces the history of Boyle and the King family. 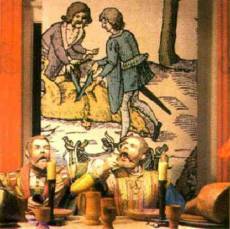 The King family arrived in Boyle in 1603. Through marriage and conquest the family became one of the biggest landowning families in Ireland. The house has recently been the subject of an complete restoration to its former glory by Roscommon County Council. "Kings of Connacht", the story of the house, is told through a variety of three dimensional (left) displays, with sound effects and hands-on activities ensuring children will enjoy a visit just as much as adults. Individual areas focus on the turbulent history and elaborate pageantry of the kings of Connacht, on whose land the house was built, the arrival of the King family who built the house, the many battles and triumphs of the Connaught Rangers for whom the house became a military barracks and the achievements of the lengthy restoration programme. 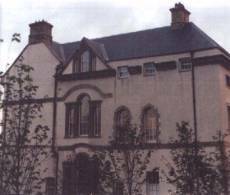 King House is situated overlooking the Boyle River in Boyle town centre, with the entrance on Main Street and the complex is wheelchair friendly. Over the past ten years BAF have purchased a number of paintings and sculptures by leading contemporary Irish Artists. These works are at present on loan to Roscommom County Council for exhibition in King House and can be seen April-October 10am-5pm and at other times by appointment. Frybrook House is situated near the town centre by the River. 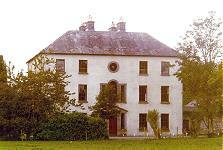 The house was built c.1750 for Henry Fry, who came to Boyle at the invitation of Lord Kingston. Frybrook House is an imposing Georgian-style, three storey house with handsome bay windows. Many of the rooms enjoy views of the Boyle River, which bordered part of the original 6 acre property. The drawing room contains some of the finest examples of Georgian decorative plasterwork in existence, and an Adams fireplace. There is an oculus in the centre of the top storey, above a Venetian window, which is above a tripartite doorway. The house was noted for its hospitality and tradition has it that a bell was sounded daily at 5 p.m. inviting anyone who wished to come and dine. A tent was always kept on the grounds to accommodate those who could not be seated in the diningroom. The present owners have beautifully restored the house which contains many interesting architectural features.